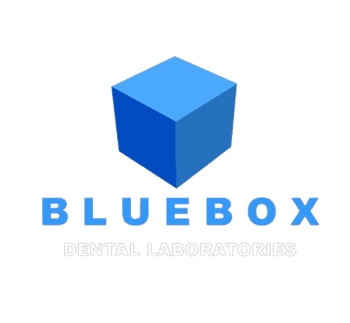 As FirstFit's selected lab for the Southeastern United States, BlueBox is excited to help introduce a revolutionary product that eliminates the need for multiple try in appointments, annoying temporaries, and wasted chair time. Our team at BlueBox Dental Laboratories can design a step-by-step 3D printed guide that will accompany the crown or bridge restoration you have prescribed. This printed prep guide allows for preparation and seating in a single visit. By utilizing a FirstFit guide, you can quickly and accurately prep the tooth before the seating of the restoration to ensure ideal preparation and accurate fit of the final restorations. Amazingly, FirstFit requires only two appointments, the first for the impression and the second for the preparation and seating. Your patients will be highly satisfied with their experience and the reduced chair time will allow for increased productivity in your practice. FirstFit ensures superior esthetics along with innovative technology to make sure you get the best and most efficient experience with patients and the highest quality crowns, bridges, or veneers from BlueBox. Call our team today to find out how your clinic can benefit from using FirstFit today!